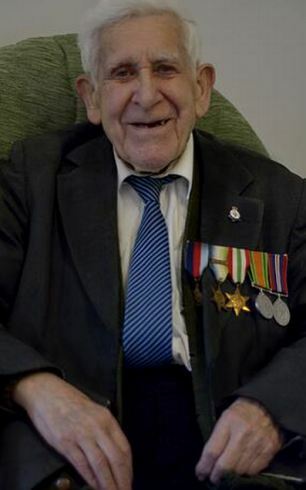 A small story which I thought some people like to read involves D-Day veteran Bernard Jordan aged 89. He was reported missing from his Pines Care home in Hove. Bernard apparently was told by his care home that he wasn’t able to attend the events in Normandy these last few days whether due to the bookings being full or his old age and frailty. Apparently Bernard left his home apparently for a regular day out in his home-town and made his own way to Normandy by crossing the English Channel by Ferry and making his own way through France by coach. 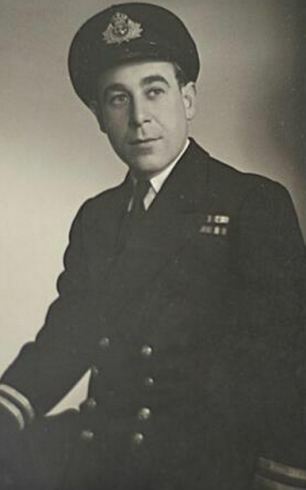 By the time he was reported missing in his home, the veteran was already in France wearing his suit and medals which he had hidden under his coat when leaving home. He wasn’t located until another veteran contacted the authorities in the U.K. to say that Bernard didn’t want to miss “The Show” and he’d come back when he was good and ready to. He then found a hotel just behind Sword Beach at Ouistreham and enjoyed the activities of the last few days. Last night having been interviewed on the national news, he was on the ferry back to Blighty. He was the star attraction amongst a group of modern-day serving soldiers who spent the evening chatting away with him and teasing him that he was in trouble for his Great Escape. A spokesman for Brittany Ferries announced that Bernard would be given a cabin on the overnight cruise back home and would then be guest of honour with a breakfast with the ship’s captain and then go to the bridge of the ship to watch as it returns to Portsmouth harbour. I think it’s amazing how such an old chap is still so determined that he made his way over to Normandy under his own steam against the odds. The spirit of D-Day lives on, bless him! This entry was posted in Funny & Humour, Life, WW2 and tagged Bernard Jordan, D-Day, Funny, Life, Normandy, Travel, WW2. Bookmark the permalink. 15 Responses to The Spirit of D-Day Lives On! This is a wonderful story – so moving! It is. He is such a hero in every way and is already making plans to return next summer even if there are no events so he can remember his friends. I had read a snippet about this story, but your story shares more. Thank you. I’m happy to hear about how they treated him on the return ferry trip. Good for them, and may he be able to be just as mischievous next year at this time. You’re welcome. It’s nice that even today some companies can forget about money for a special event for a special person. I hope he manages to sneak out next year too! I just love this veteran..good for him..taking charge of the situation! We could all learn from this fellow! Yes, I think it says something about the stupid health and safety rules we have today that a man who fought in a war has problems going to pay his respects because some people 40 years younger than him says he is too frail and yet he makes it with ease. Love this. Well done that man! Another fantastic story from you. Love this. Wow, he was determined. I’m so happy he was the star attraction on the ferry. That’s great! Thanks for sharing, Stephen. Hi Stephen, Thanks for expanding on the story that I read about on facebook. What an amazing man and as you so rightly, a true hero. I also love the photos of him. Hi there! So glad you enjoyed it. He is now back safe and sound avery popular with the media, soldiers and ladies alike. What makes it even better is that he ran out of money on the way there and strangers paid for his travel. He also left one of the ceremonies because the world leaders were very late and he wasn’t bothered about meeting them, just paying tribute to his fallen friends. What a star! Oh, that makes it an even better story! As you rightly say, what a star! Hope I have as much spirit if I get to his age! I don’t think that the senior men and women of today are given credit for their abilities or determination. Before I retired from teaching, I had WWII veterans and Holocaust survivors come to my class to talk one on one with my 5th grade students. Writing down what they had learned from the private interviews, they each gave the account from their notes the next day to the entire class. Those same students are now college graduates, but I don’t think they will ever forget that experience. One fifth grader made the comment, “We may be last generation to actually get to talk directly to these people.” Yes, Bless them…and the young men and women who had the opportunity to get to know them. That sounds a very rewarding experience for all concerned. I still remember when I was about 10 and I met some WW1 veterans and I still remember it. I often wonder if there any younger than me who can tell the difference in engine sound between various WW2 planes. What was commonplace to my grandparents seem almost unknown today. Though I wasn’t born until over 30 years later, I instantly know the sound of a Spitfire and I am always sent back to 1940 in an instant.